During a discussion at IIT-Madras, Air Marshal Simhakutty Varthaman (retired) claimed that the Balakot airstrike by IAF killed 250 to 300 Terrorists. Chennai: The father of Wing Commander Abhinandan Varthaman has claimed that the laser-guided smart bombs (SPICE – 2000) deployed by the Indian Air Force (IAF) may have killed 250 to 300 terrorists in the Balakot terror strike. During a discussion with the students of defence studies at IIT-Madras, Air Marshal Simhakutty Varthaman (retired) stated that the airstrike by IAF took place when the target in the Jaish-e-Mohammed training camp at Balakot was maximum. A report by Times of India quoted Simhakutty Varthaman as saying, “Pakistan’s F-16s and AMRAAM missiles were the real threat to us. We had to first get F-16s off our back by making sure they were headed to some other direction when we were going to Balakot. So we did a lot of deception.” He added that the Indian Air Force launched seven aircraft towards the headquarters of JeM in Bahawalpur. When Pakistan sent F-16s to Bahawalpur to fight the Indian aircraft, simultaneously the IAF attacked Balakot. 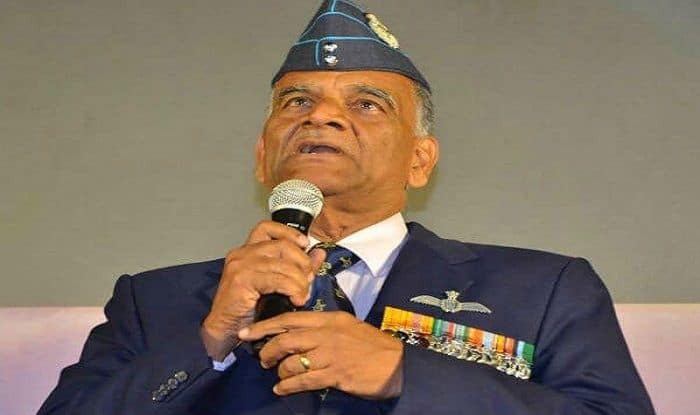 Notably, the Wing Commander was held captive by Pakistani authorities on February 27 after his MiG 21 Bison went down during a dogfight with Pakistani jets. Before his plane was hit, he shot down an F-16 of Pakistan air force. He was also manhandled by a crowd after he landed in a village in Pakistan-administered Kashmir. Varthaman was brought back to India after two days of being held captive in Pakistan. According to reports, Abhinandan had suffered a rib fracture, some bruises and back contusion. The IAF pilot underwent a medical checkup at Army’s Research and Referral hospital a day after he was handed over to India at Attari-Wagah border by Pakistan. Ever since the Balakot air strike, tensions between India and Pakistan escalated. Pakistan retaliated by attempting to target Indian military installations the next day. However, the IAF thwarted their plans.